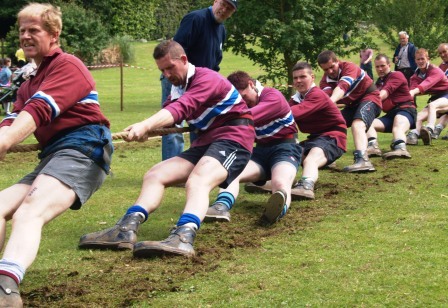 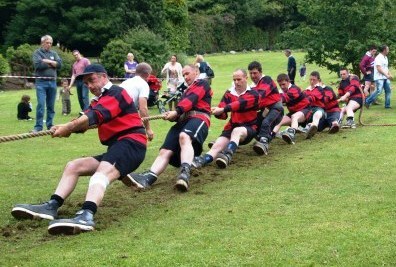 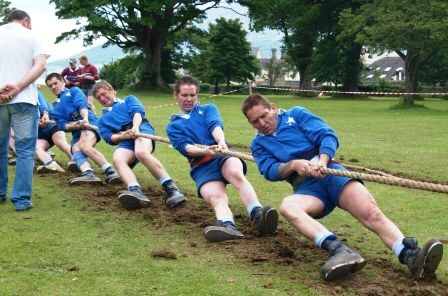 especially to bring tug of War back to the event. 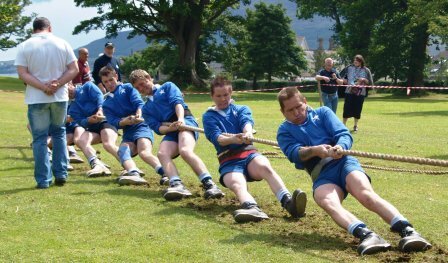 Five teams made up the weights for the 620kg event in the form of the near neighbours Binnion, Derryogue and Leos Boys added to by Garvagh and Mountain View. 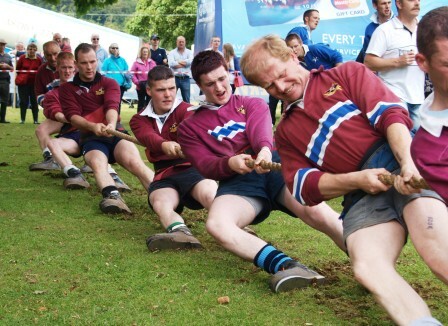 The ground was well set up close to the stage and teams took to the field in the first competition of the day. 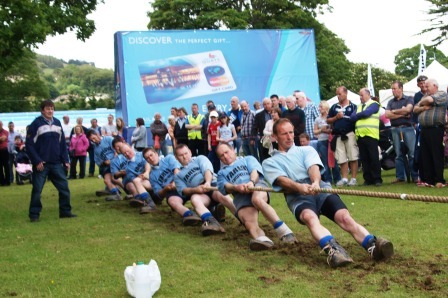 Derryogue were very strong in the event and in the finals took it by two straight pulls to nil against Binnion. 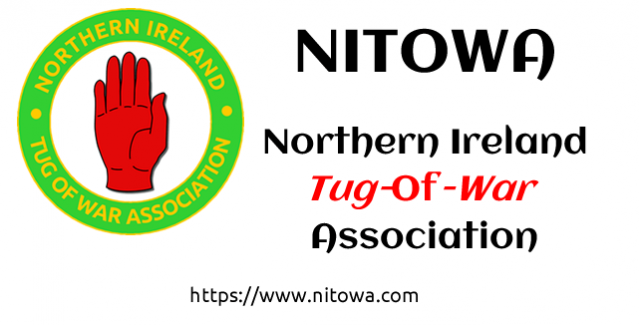 of the final places against the combined team from Binnion. 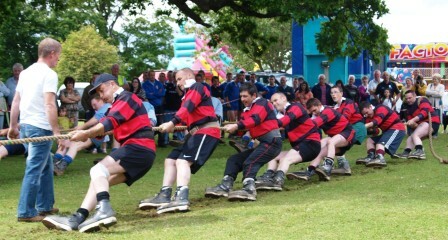 Derryogue once again dominated the final taking it by two straight ends. 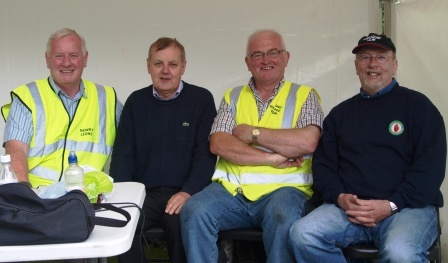 Medals for the event had been provided by Newry Lions and were presented by a tug of war stalwart of yesteryear Phelim Convery who pulled for many years with Ballycrummy Tug of War team.